Choosing the best eyeglasses for you! 20/20 EyeCare is dedicated to serving your optical needs and providing the highest quality eyewear for every style and budget. Our opticians can help you select eyewear that is custom-fit and filled to the exact requirements prescribed by your doctor. We will talk with you to learn about your hobbies and occupation so that we can combine your lifestyle needs with your prescription needs. Instead of light bouncing off your lenses, it can pass through and enter the eyes, giving you sharper, clearer vision. AR coating can be applied to the front and back surfaces of your lenses to help protect them from scratches, smudges, dust and damaging UV rays. 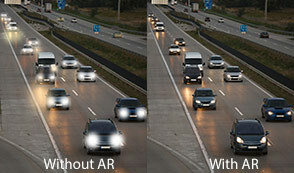 It prevents the “halos” you might see from street lamps or headlights when driving at night. Smartphones, tablets, computers and televisions all emit blue light. Long periods of exposure can lead to eyestrain, eye fatigue and even sleeplessness. Tech Protect Coating is the best solution for anyone who uses digital screens throughout the day. As well as protecting your eyes, it provides higher contrast and a more relaxed viewing experience. 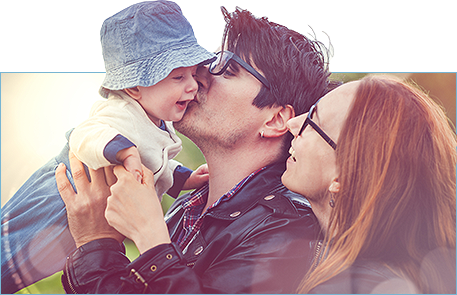 20/20 EyeCare offers premium high-index lenses – also known as our thin and light lens package. This package is suited for anyone with a moderate to high prescription who requires a strong, elegant lens. Compared with a standard index lens, it is up to 40% thinner and five times stronger. Our patients can receive comfort in knowing it has optical purity, exceptional durability, a lightweight feel and UV protection. Do you experience blurred vision when transitioning between viewing distances? 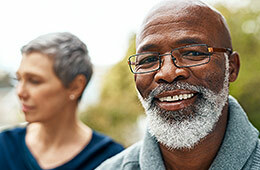 Then you may have presbyopia; a common change in eyesight that typically affects people over the age of 40, bifocal or progressive lenses could be the solution for you. Progressive Lenses also referred to as “no-line lenses” have a gradual curvature across the lens surface and provide not only clearer vision at near and far distances, but also smooth, comfortable progression in between. They allow for continuous vision at near, middle, and distant focal ranges, with no lines or image jumps. Bifocal lenses have two viewing areas divided by a visible line. The larger viewing area is for distance and smaller for reading. Please see office to inquire about available lens treatment options.